This thing is awesome! I can´t believe that a frame is so durable and strong! direct impacts with trees and concree, NOTHING HAPPENED!. At first I had some vibrations, but obviously not a problem of th frame, I changed some things and installed butterflight, now it seems like you are in a sim. The only thing is you will have to be sure where to put everything, as there is not much space. This frame is hands down the best frame for a newbie or an experienced flyer. 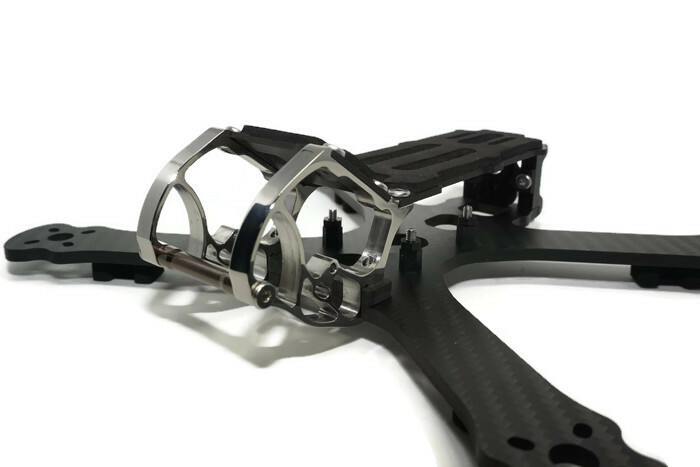 It flies absolutely fantastic and the carbon quality is unmatched by any I have seen so far. I have been into this hobby for only about a year and have been breaking frame after frame. I have been flying this frame for about 6 months now and it is still excellent, no need to claim the lifetime warranty. So all in all, an excellent frame for day to day flying. Only gripe is it is a bit on the heavier side. Perfect. Absolutely perfect. Was not a fan of the individual arms on the rooster. In addition to the added weight of attaching hardware, with only 2 points of contact, it would not be long before you had some shifting after a few crashes. Loved the new camera cage though. Only thing i would add would be a plastic mount for the camera cage to attach some of the new micro camera's coming out. This is, in my opinion, the best mini quad frame on the market bar none.